Made with Epsom Salt, powdered milk and bergamot herbs. Add a couple of Tablespoons to your bath and soak in a refreshing minty mixture that leaves your skin soft. Steep a bag full of herbs in your bath with no residue to clean. Relaxation contains lavender to calm you. Invigorating contains orange peel, lemon peel and mint to refresh you. Sore Muscle contains epsom salt, rosemary and nettle to ease your achy, overworked muscles. Made with pure safflower oil, jojoba oil , vitamin E and essential oils. Massage directly into the skin or can be added to the bath. Made with oatmeal, corn meal and sea salt. organic herbs and lanolin. This comes in a Spearmint scent and an herbal scent. 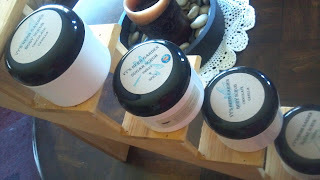 The Foot Balm made with jojoba oil, vitamin E, beeswax. Made with Pure raw sugars, sea salt, lanolin and essential oils. Comes in a Chocolate Vanilla scent and a Spicy mixture of cinnamon, ginger, and nutmeg. Vy's Herb Garden makes a balm for your feet to compliment the Foot Scrub. But don't let the name fool you. This rich balm, made with olive oil, jajoba oil, Vitamin E, and essential oils, is good for all the rough spots. 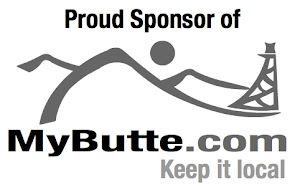 Try it on knees, elbows, and hands as well as those winter weary feet. Vy's Foot Balm comes in Peppermint which helps circulation, Spearmint lifts the spirit, Rosemary heals,and Bamboo calms the nerves. Try using Vy's Herb Garden Foot Scrub and then rubbing in the Foot Balm, slip on a pair of cotton socks and let all that nourishing oil sink in to give you baby soft feet ready for those summer shoes. 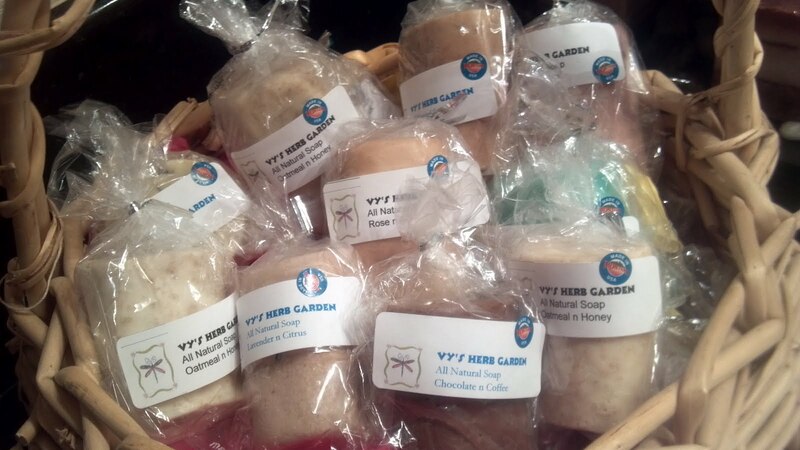 Vy's Herb Garden has Sugar Scrubs that smell good enough to eat. And because there are no preservatives or chemicals, you actually could. Oh but I don't suggest that. These scrumptious scrubs are made with raw sugars, sea salt and mineral oil. The Vanilla n Chocolate scrub is made with vanilla bean and cocoa. Just add milk? The Sweet n Spicy scrub has cinnamon, ginger, and nutmeg for a spicy scent. Think pumpkin pie. Lemons n Limes has lemon peel and lime peel added for extra scrub power and it wakes you up too. These scrubs come packaged in a white plastic 8 oz jar with a twist on black lid. Vys's Sugar Scrubs use sugars and sea salt to exfoliate your skin and the mineral oil leaves you with a healthy glow that will stay with you all day. Summer tops are just around the corner so its time to shine up those arms, shoulders, shins, and backs for the sun. Vy's Herb Garden offers a wide variety of Handmade Soaps that are all chemical and preservative free. Oat n Honey is made with raw honey and organic oats with no added scents or colors for a natural clean experience. The Nice n Spicy Soap is made with shae butter and almond oil with rosemary, thyme, and sage herbs. This soap is a great antiseptic soap because of the healing properties in the rosemary and sage herbs. Lavender n Citrus soap is made with shae butter, olive oil, lavender buds and lemon and orange peel. Lavender has a calming effect and is gentle enough to use on a baby. Cinni n Orange is made with shae butter, olive oil with a touch of cinnamon and orange peel. This soap has a delicious cinnamon smell and is a great cleansing soap. Vy's Rose n Almond soap is made with shae butter, ground rose petals and almond oil. The almond oil is good for dry skin. Banana n Coconut soap is made with shae butter, coconut oil and real banana with citric acid as a natural preservative. This is a great lathering soap. Coffee n Chocolate is a milk soap base with ground coffee and chocolate. This is a great exfoliating soap and a perfect soap for hard working hands that work in the garden or on a car. Vy's Violet n Lime soap is made with shae butter, olive oil, blue violet and lime peel. This is a great wake up soap with its vibrant lime scent. Patchouli soap is made with shae butter, almond oil, vitamin E and patchouli herb. Patchouli is an energy scent that is very popular for a person who meditates or works with the energies of nature. Vy's Herb Garden soaps come in a package of two 3.5 ounce bars.